Winters are about to come and the flu season too is all prepared to lower the health of many people. With Swine flu a possible risk still, it is good to give boost to your immune system. Here are some food that, when included in daily diet, will boost your immunity and save you from swine flu as well as other influenzas. Garlic – This culinary herb is a very effective natural medicine due to its natural antimicrobial properties. Garlic is one of the best immune boosters and fights bacteria, viruses, fungi and parasites effectively. It can be taken in large doses to destroy viruses and bacteria without causing any damage. 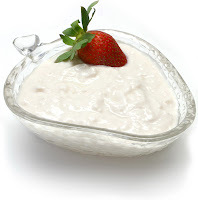 Yogurt – Yogurt contains the strain Lactobacillus reuteri which helps in fighting off the harmful bacteria responsible for stomach upset and lowered immunity. It is a natural probiotic that assembles the good bacteria in our stomach. A small helping of yogurt is better than any probiotic supplements. In fact, curd is one of the essential daily dietary element in countries like India. Oats and Barley – Oats and barley have a fiber rich in antimicrobial and antioxidant properties. These are foods rich in beta-glucans too. Beta-glucans are polysaccharides or molecules made up of many sugar units. They generally occur as cellulose in plants and have immune-supporting properties. Other food sources include yeasts and certain mushrooms. Sweet Potatoes – Sweet potatoes are an excellent source of vitamin A and a very good source of vitamin C and manganese. 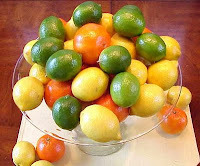 They also contain vitamin B6, potassium, iron, copper, dietary fiber and manganese. The human body uses beta-carotene in sweet potatoes to make vitamin A, which is essential for cell growth, good vision and also has an antioxidant effect.